Nick’s (and my) favorite place to buy the best quality meat in the City is 4505 Meats. They’re at the SF Ferry Building Farmers’ Market on Tuesdays, Thursdays and Saturdays, so it’s one of Nick’s favorite things to do to drop by the Farmers’ Market on Saturday mornings and either get a hamburger or another one of their delicious creations (they started making chicharrones krispy bars this year!). 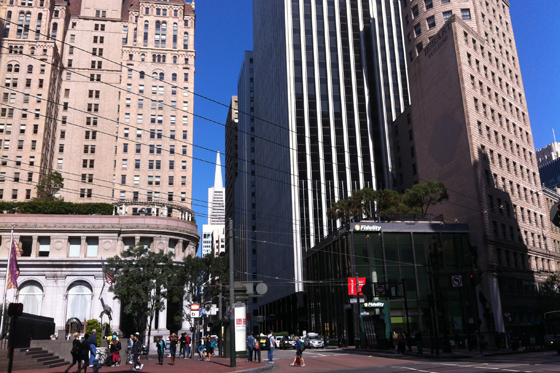 This morning, it was such a beautiful day, we decided to jog straight down Market Street to get there. 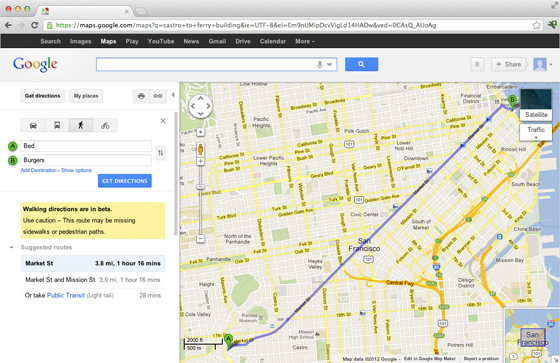 It seems far, but we mapped it, and it was just under 4 miles. We laced up our shoes, and headed off. Our first photo op was at Castro and Market (about a half a mile in). 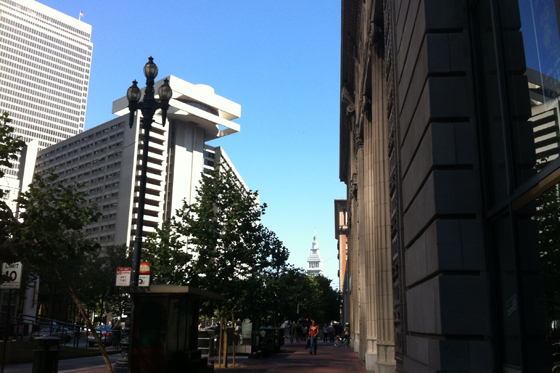 If you look VERY closely, you can see the little dot of the Ferry Building ALL the way down Market Street. After this, you basically can’t see it until you’re almost there. 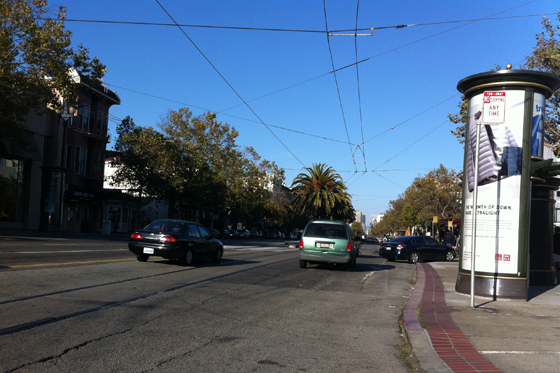 Next we got to the beautiful clearing of Octavia and Market (about 1/3 of the way there). While I sometimes still kinda wish the freeway ran through here (it was damaged in the ’89 earthquake, later demolished, and traffic was rerouted, making some destinations a lot longer to get to), they’ve tremendously improved the area. 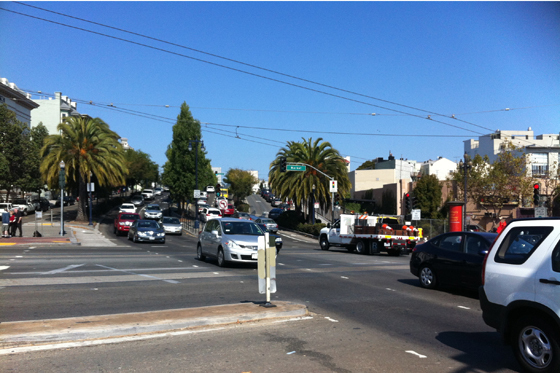 Up next was Van Ness (almost half way there). 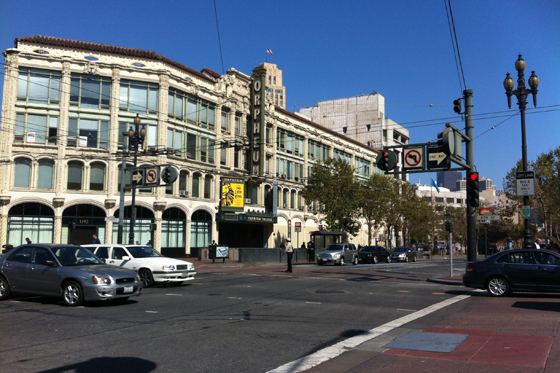 Did you know that it was the great width of Van Ness Avenue that helped save a large portion of San Francisco from burning in the fires after the 1906 earthquake? We jogged past the Orpheum Theater, a few blocks further. The Lion King‘s playing there right now! 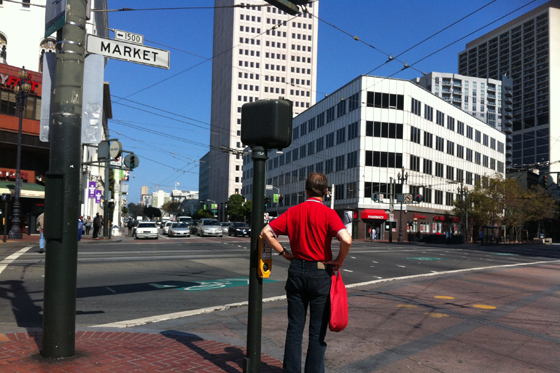 After the Orpheum, the next bit of Market is a tad shady. We just jogged through there – not much to see for about half a mile. But then we started getting to the swankier part of Market, just before Powell Street and Union Square (about 1/3 of the way left to go!). This was when the foot traffic started to get busier, too. Next, was Downtown (only about half a mile left). The buildings were getting higher! 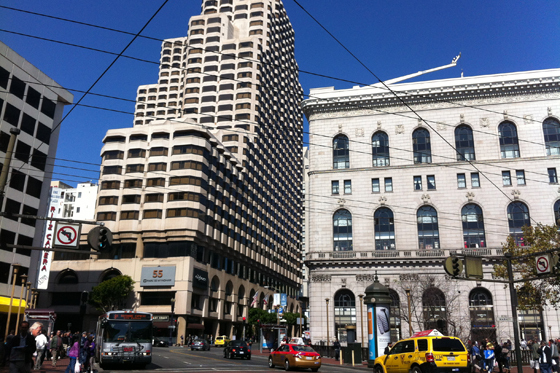 And there’s the TransAmerica Building! 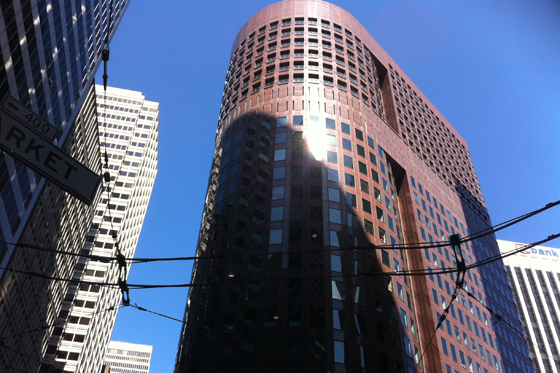 Then we reached the Financial District (please, don’t call it the “FiDi”) – the VERY tall buildings – and we were nearing our destination. 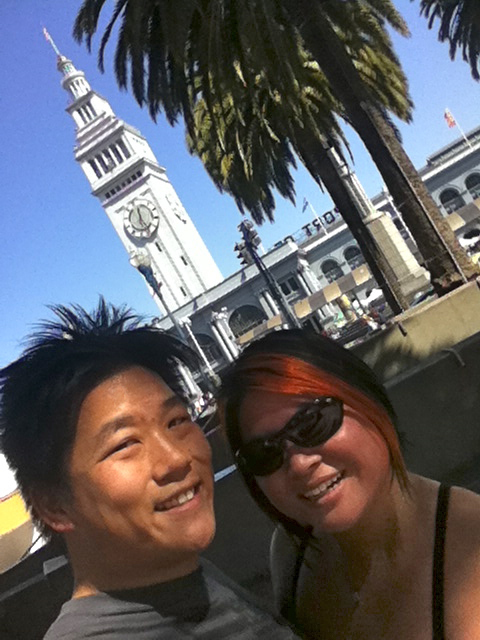 Finally, we reached the Embarcadero buildings and could see the Ferry Building again! Almost there! After our morning jog, we hung out at the Farmers’ Market, enjoyed some delicious 4505 burgers, and took in the gorgeous view of the Bay. This was a spectacular way to wake up, and we’re thinking of doing this more often on Saturdays! Come join us!